Photograph by Lylah Hodson; courtesy of the Othello Community Museum. 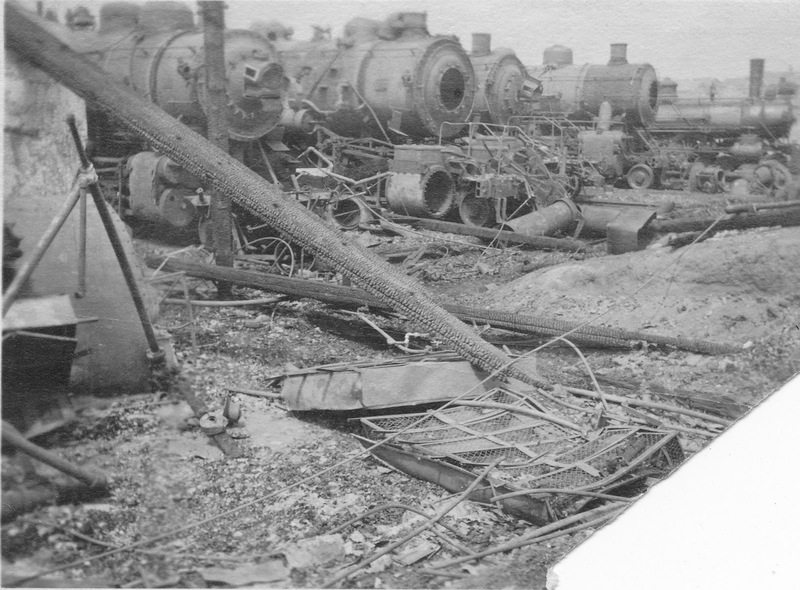 The roundhouse in Othello caught fire in 1919 after the July 4 baseball game in town. The building was a total loss, as were 8 steam engines. The roundhouse was rebuilt as a wood building. The Roundhouse was rebuilt in Wood, not brick as far as I know. At least the Milwaukee one was wood when I visited it in 1980 with Wade Stevenson. Thanks for the info. Will edit appropriately.